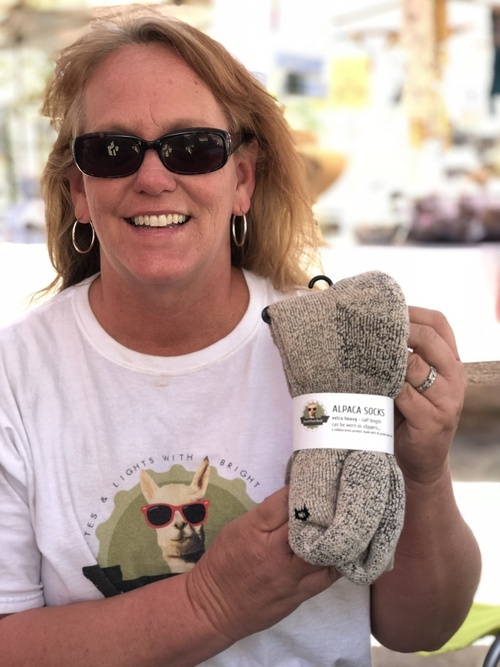 We’ve got AZ Grown alpaca socks! We make awesome products from award winning alpacas. Now entering our 20th year of raising alpacas, we continue to grow in our knowledge of this wonderful industry of natural fiber farming. We utilize a sustainable farming module with organic practices employed here at Peaceful Prairie Ranch. We appreciate the growth and popularity of growing natural fibers, and really love the type of farming we do. In recent years, we've watched a leap forward in the genetic improvement of the North American alpaca herd, and boy are we seeing that here at this farm! We're really excited about what we're doing and what we're growing here. Were focusing on fleece uniformity and density in our herd which will yield a sustainable annual clip to operate on the cottage and future commercial market. It really is a 'peaceful prairie' when you sit and look over the alpacas in their very own Arizona version of the 'Altiplano'. 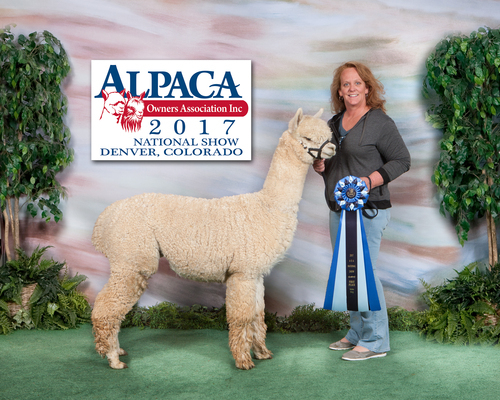 Our mile-high elevation lends itself to suit the alpacas just perfect. We have warm sunny days and nice cool nights - with very cold winters in a dry climate - just like the alpacas native lands in South America. While we like the 'dry' climate for lack of parasites etc., we do feel a little jealous of those farms with lush green pastures - guess we can't have everything! We really couldn't think of a more perfect environment to raise alpacas than right here. 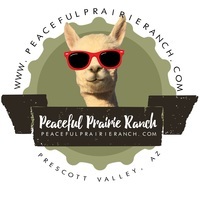 Here at Peaceful Prairie Ranch you will find excellent show-quality alpacas, foundation breeding stock and, quality fiber animals. Our prices are fair and because we are a large farm, we are able to offer payment plans for purchases. We strive to help our buyers easily transition into farming by helping them to set shearing, assist with questions and whatever is needed to get comfortable with the immense learning curve farm operations throw at us - from feed to breeding to birthing. Cria birthing and neonatal care is a specialty of Wendy's and our customers can rest assured they have a resource and help when delivering dams purchased from our farm. References are Listed on our Boarding Page. 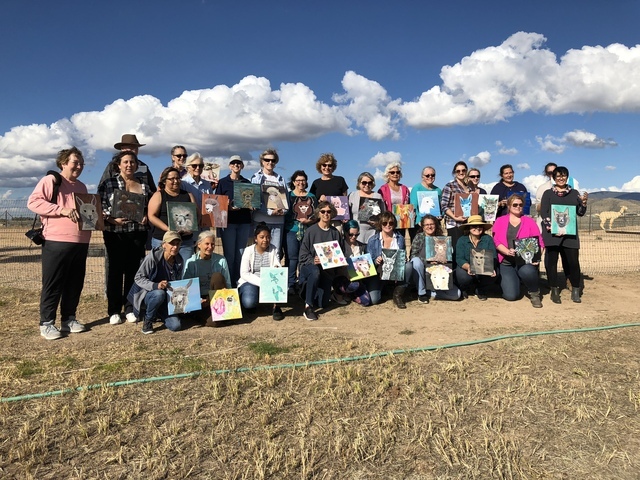 Wendy has served many years in varous Board of Director roles for the Alpaca Breeders of AZ Affiliate of AOA and is well versed in the industry. Dusty is the expert biologist of the farm, having his Masters in Environmental Policy - together we have a keen interest in rangeland management, forages and natural dye plants. Please 'graze on over' to our website at www.peacefulprairie.com to read more about our farm and history. We love what we do and are excited to participate in the future of our natural fiber industry! 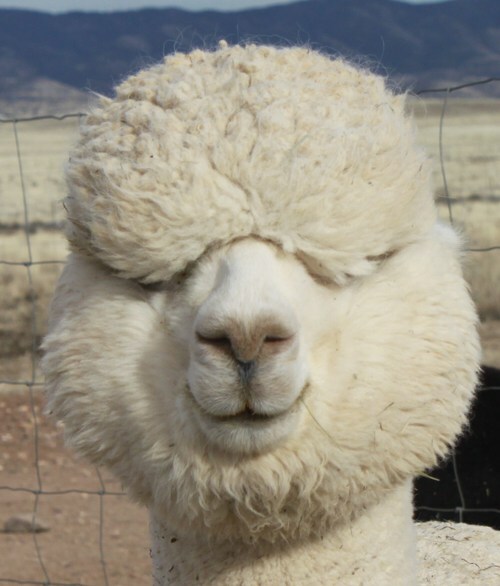 Check back for our annual ‘Naked Alpaca Celebration Days’ at end of April.